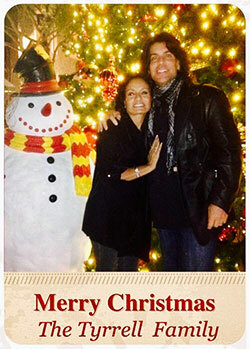 I will keep this weeks musing short, and to the point… Merry Christmas! This morning, I woke up thinking about the names, “Emmanuel,” and “Emma.” The definition of these two names means, God with us. And, He is! We are never alone, and never unloved…God is with us… always. And I am sure you have heard the phrase, the "Spirit of Christmas?” Well, since CHRISTmas is the celebration of the birth of Jesus, then the true "Spirit of Christmas" is the Holy Spirit who testifies of Christ and reveals him to mankind. 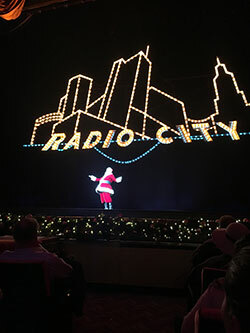 Recently on a trip to NYC during the “Rockettes Christmas Show” we attended, the Santa Character said, "Christmas is about the first and greatest gift of all times" and then the scripture concerning the birth of Christ was read. 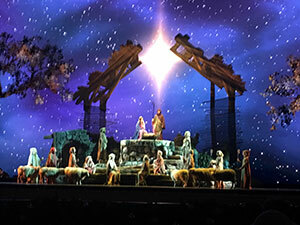 Suddenly, an amazing live nativity scene appeared! A New Year is rapidly approaching, and I will be putting the good, the bad, the ugly and the beautiful in the rearview mirror as I look FORWARD to the wonders, miracles, and blessings of the New Year. Remember, I am soooo thankful for your love, prayers, and support…I love you too! So from all of us at Wholetones…Merry Christmas and a happy, healthy and prosperous new year! My Mom is here, the house is decorated, and I am going to practice what I preach, turning off my computer, turning off my phone, and being fully present to my family and most importantly to God, who gave me life, and His precious son, whose birthday we celebrate this day.